AMMONNEWS - the leading global provider of comprehensive logistics and transportation solutions, today announced its financial results for the second quarter and first half year ended 30th June 2018. Aramex’s Q2 2018 net profit surged by 26% to AED 122 million, compared to AED 97 million in Q2 2017, and the company’s net profit in the first half of 2018 increased by 20% to AED 225.7 million, compared to AED 188.7 million for the same period of 2017. Revenues for the quarter rose by 7% to AED 1,232 million, compared to AED 1,147 million in the corresponding period of 2017. H1 2018 revenue reached AED 2,422 million, up by 7% compared to AED 2,253 million in the same period 2017. “We are extremely pleased with our results this quarter, which are attributed to the increase in demand for our services across most of our businesses and to our restructuring efforts. We continue to witness a boom in the global e-commerce market, and have been able to reap the benefits of that trend by boosting our investments in last-mile delivery solutionswhile enhancing our service levels. We also hadencouraging growth in our Freight Forwarding services specifically from the Oil and Gas segment, which enjoyed a double-digit growth this quarter. “We are very proud of the progress we have made this year in enhancing our service levels and efficiently meeting the last-mile capacity needs of our clients globally. This year, we have significantly improved our service levels and transit times both, globally and regionally, which is a direct reflection of our investments in delivery capabilities and entering into strong, strategic partnerships to upgrade our services in Europe and the Americas. Innovation, which is a key pillar of our strategy, continues to drive solutions across the company’s operations to boost customer experience and maximize efficiencies. Aramex's International Expresswitnessed excellent growth in Q2, up by 10% to AED 528 million compared to the prior year period. This strong performance is mainly attributed to the continued growth in cross-border e-commerce across the company’s key markets in the Middle East, Africa, and Europe. 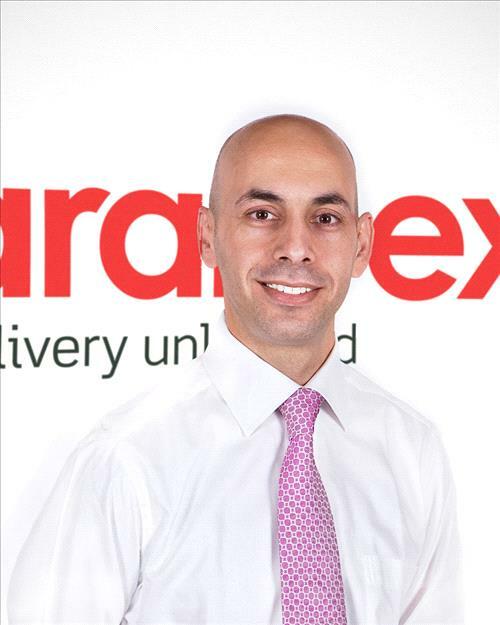 Aramex’s operations in Southeast Asia is diversifying well in terms of acquiring new customers, which are targeting online shoppers in the Middle East, despite the lower than expected performance this quarter. In Q2, theDomestic Express business grew 6% to AED 262 million, compared to Q2 2017. E-commerce continues to fuel double-digit growth in most of Aramex’s core markets, namely: Saudi Arabia, UAE and Africa. The strong growth in Domestic Express was negatively impacted by the drop in business from the company’s operations in India. Aramex's Freight-Forwarding business rose by 1%, to AED 296 million, where most of the growth was contributed by strong demand from Oil and Gas customers. The company’s Logistics and Supply Chain Management business increased by 16% to AED 73 million. The growth is attributable to the growth of business across all regions, mainly UAE, KSA, North Africa and Singapore. Aramex's International Express business grew by 10% to AED 1,028 million, due to the strong growth in cross-border e-commerce across most regions. Domestic Express business grew 8% to reach AED 527 million, which was attributed to the continuous growth of domestic e-commerce across most markets, especially in the GCC. Growth in the Oil and Gas business across most regions, mainly GCC and Africa, together with a strong performance in Asia helped Aramex's Freight-Forwarding business rise by 2% to AED 579 million. Aramex’s Logistics and Supply Chain Management business increased by 13% to AED 142 million, as a result of the growth of business in key markets, most notably UAE, KSA, North Africa and Singapore.